So…awhile back I wrote a post about how I was about to have a baby and that was giving me a sensation of “I wants” for a Mitsubishi EvoX. As with most things in my life, once I get something in my head…I can’t seem to let it go. It was almost a week after that when I started looking for a replacement car for my ’07 Avalanche. The Evo ended up being a no-go. I opened the trunk and there was only 6 cubic feet of storage space. Seriously?! Who in their right mind would be able to use that for even to-go food from a restaurant? Well, it was back to the drawing board and I eventually ended up with a 2011 Subaru WRX hatch in silver that would carry multiple bikes for Bike198 and tote the kid around with the half a house we now have to pack with us when we go anywhere. Those of you that know me…know I can’t ever leave well enough alone, so I started hacking away at the car as soon as I got it. I don’t even think it made it pas 500 miles on the odometer before it was modded. It has been a fun project to play with and get my mind off of things. Everyone needs a distraction and with my current injury to my back…mountain biking has been out of the question. To make things even better…our new son Daniel loves it when we take him to the mountains in the car. While it isn’t done yet, as it sits now, the car puts down 277 awhp and 320 tq which equals out to about a 4.6 0-60 mph and somewhere in the 11’s in the 1/4 mile. While those stats are fun to look at, the real fun comes when the road starts getting twisty and all of the suspension mods start to come alive. Next on the plate is to add more power and finish up the custom interior that JPM Coachworks is going to do for the car. Another one of those projects that never ends…but it is a blast to drive and it still gets the job done for every day life as an entrepreneur, mountain biker and dad. 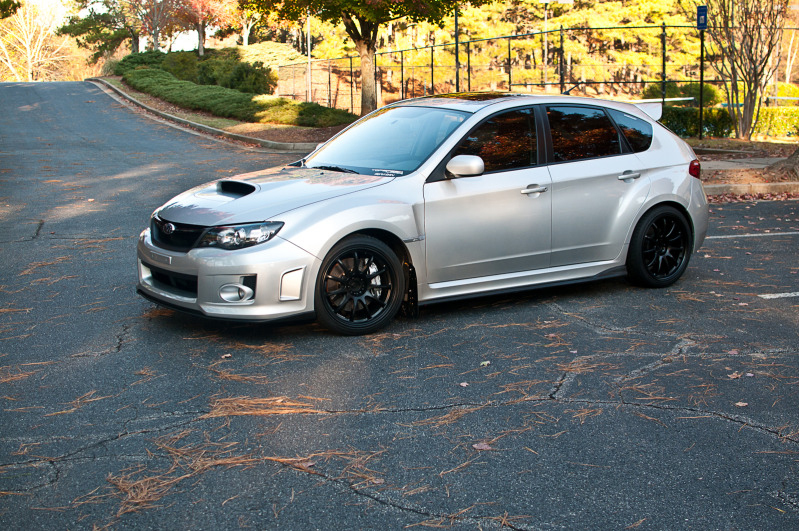 2011 WRX premium in silver with factory installed SPT exhaust. It keeps a semi low profile…until you crank it up. Im liking the silver brembos. More info on those. How’d you get it done, how much, how are they holding up, etc….Any more pictures of the car? Int? More angles of the exterior? They are holding up great. Stripped, engine primer, caliper paint, engine clear…all from Duplicolor. Wet sanded then high temp vinyl for the logos. Numerous mountain runs and a couple thousand miles and they still look brand new. But pack 7 people, 5 bikes (OK, some are smaller) plus full camping gear in the trailer for a family MTB holiday at Mankele – one of the few proper MTB destinations in SA – and you have heaven. So cool to find another entrepreneur & blogger in the Rex club ; ) Great content and great car, man. I have the same one in black, but only SPT upgrades thus far. 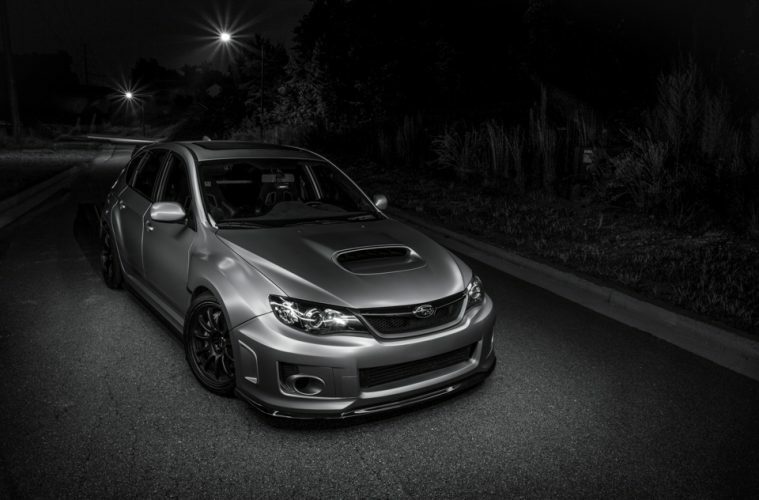 My 2012 WRX 5-door (also silver) is scheduled for delivery 3/13/2012. I factory ordered the SPT exhaust also.How do you like your? oNE QUESTION – i HAVE NOTICED IN PHOTOS that the SPT has a center pipe that is lower to the ground than the stock unit (probably to clear a frame cross member) Have you had any ground clearance issues with that pipe? Love it. The sound is unlike anything else but it is a little bit loud. The pipe has never had any clearance issues. The perfect active family’s car. And fun dad car. Man, I’ve been eyeing up the 2005-2009 Legacy GT since I knew they existed. 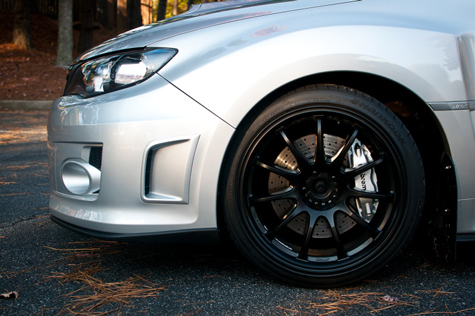 WRX motor and power, subdued and refined styling. A daily driver and sleeper through and through. I went through your other vids, keep ’em coming! That is simply gorgeous! If I ever get married and have a kid, it’s good to know that it’s still possible to have a wicked cool AND functional ride. Absolutely in love with your car…so much I just ordered a 2012 hatch! The wheels make the car. Any difference in handling between the 8.5″ and 9.5″ wide rims? I read you have the rear fenders rolled with the Work Emotions and new susp setup. Did you have any problem with the XXRs rubbing on stock susp? Gotta do my mods in stages 🙂 Anyways, great work and thanks for the inspiration. Hey nice car. Where exactly did you buy this headlights? Ran across your blog while browsing the web. Your car looks great and you’ve made some fantastic choices for mods. I’ve got an 11 WRX sedan that I started to mod back in June. Most of my mods are solely performance based. The car gets tracked and autox’d regularly. Next major mod for me will be big brakes. Love the look of those Brembos!